Scenic flight over Hoover Dam to the Grand Canyon South Rim. Approximately 1 hour 10 minutes each way. See amazing views throughout Grand Canyon National Park on this essential Las Vegas to Grand Canyon South Rim airplane tour! After free shuttle pickup from your Las Vegas Hotel, you’ll travel to the Boulder City Airport to check in and board your Twin Otter Vistaliner airplane for a scenic flight over the Mojave Desert, Hoover Dam, and Lake Mead. The landscape will change before your eyes as Lake Mead transitions to the Colorado River. This is the Grand Canyon! Photography and videos are easy from your touring aircraft windows. Upon arrival at Grand Canyon National Park Airport, you’ll board a comfortable motorcoach and head into the park. Gaze upon massive rock formations ranging in color from light beige to purple and everything in between; the vastness stretching out before you is where the most iconic canyon views truly are. 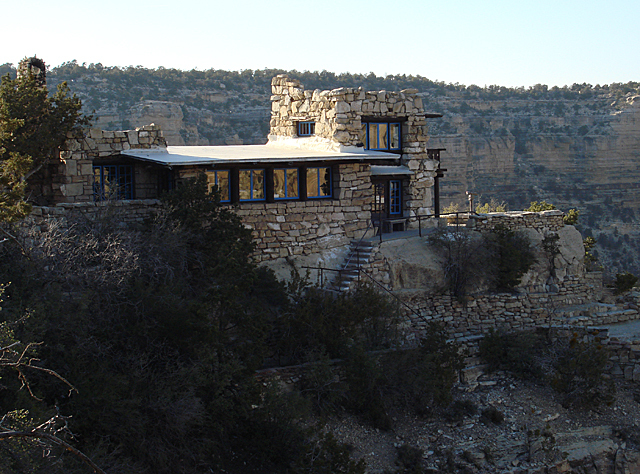 At the historic Grand Canyon Village you’ll have time to walk along the paved rim trail and explore hotels, gift shops, and other antique buildings registered as National Historic Landmarks. The stone patio at Bright Angel Lodge makes a perfect place to pause and enjoy your box lunch, take in more astonishing Grand Canyon views, and shop for mementos of your visit before the return trip to Boulder City and your hotel. Ground Tour: Two stops at Grand Canyon National Park. Approximately 25-30 minutes. Scenic flight over Hoover Dam to the Grand Canyon South Rim. Approximately 1 hour 10 minutes each way. Narration (Airplane): Individual headphones with digital music and narration in several languages: Chinese - Mandarin & Cantonese, Dutch, English, French, German, Greek, Indonesian, Italian, Japanese, Korean, Portuguese, Spanish, Swedish, Thai, Russian.